T.I has been in the game for a minute, and the Atlanta legend can look back on a legacy well lived. 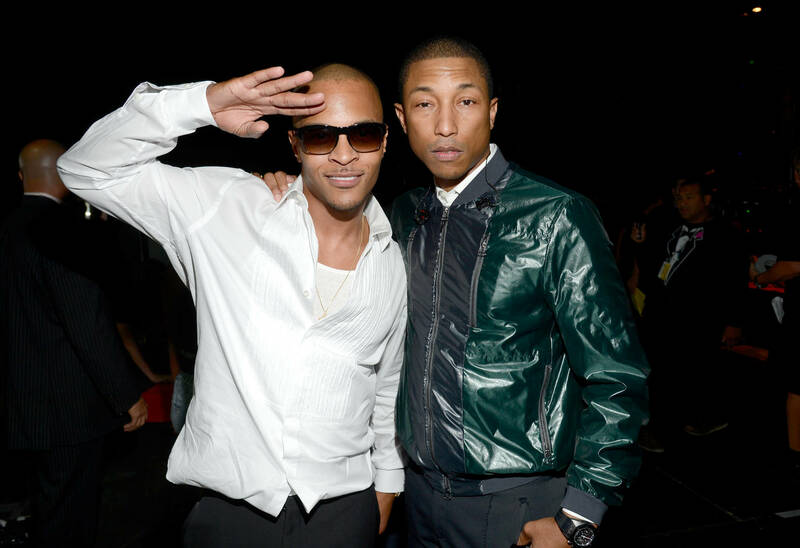 With a catalog of countless hits stemming back to his self-deemed invention of "trap music," T.I. has earned his spot in the annals of history. As such, a flashback Friday picture from the Troubleman is bound to carry weight. Seeing glimpses from the behind-the-scenes process are always enjoyable to the fans, and today, Tip has shared an interesting one. "Back when I was the youngest millionaire in the room," he writes, alongside an image of four hip-hop icons: himself, Pharrell Williams, Jay-Z, and Q-Tip. Given the lack of context, it's difficult to say which project was consuming each respective artist, especially since Skateboard P's eternal youth makes it difficult to launch a temporal anchor. Though Tip's rebellious demeanor is a telling sign, to be sure; the days of Family Hustle were but an unfocused dream. Looking back, it's great to see each artist still thriving, able to look back on a job well done. Respect to T.I., P, Jay-Z, and Q-Tip. Always nice to see legends stand united. YFN Lucci Is Shook After Reginae Carter Breakup: "My Girl Don't Love Me No More"